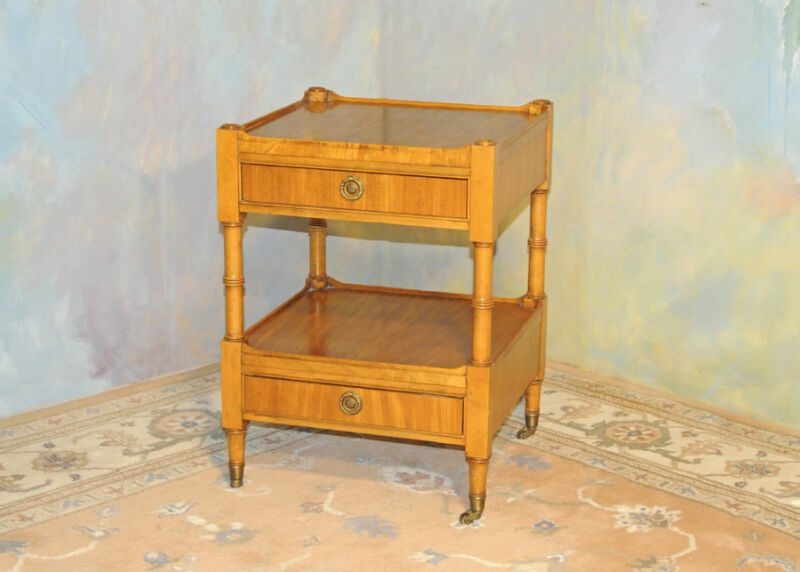 Vintage end table made by Baker Furn. Co, Millingroad collection. Two tiered, tow dove tailed drawers in solid birch and mahogany veneers with maple finish. Brass casters and drawer pulls.